Sydney Howell was educated at Cambridge and Manchester Universities. He worked with Alcan, Ranks Hovis McDougall and Philips Electronic Components before completing a PhD at the University of Manchester's Business School - on forecasts for the production and inventory management of electronic components. He joined the future AMBS to teach Management Accounting and other Control methods, including applied multivariate statistics. He was seconded to Brussels for two years in the 1980s to teach in IBM's school of International Finance, Planning and Administration, and later taught occasionally for IBM in 12 countries. At MBS in recent years Sydney Howell has encouraged the evolution of the full time MBA course towards including two compulsory in-company consultancy projects, after an initial "Not for Profit" consultancy project, for a charity, but to business standards. The underlying "Consultancy Doctrine" can be sampled in video form by Googling "MBS Consultancy Dictionary". His present academic teaching (other than PhD supervision and examination) is the direction of live Consultancy Projects on the Full Time MBA. In Company-specific training he has been involved in designing, negotiating and/or delivering multi-million pound programmes for Arthur Andersen, IBM, Tesco and BP (the last jointly with UoM's School of Mechanical, Aerospace and Civil Engineering). The last two clients sent cohorts of over 1000 managers orsenior engineers. Some BP Engineers chose to take both of two UoM Engineering courses (to both of which Prof,Howell contributed) after taking a senior programme for BP at MIT. Prof. Howell has taught on other corporate courses for UoM, for Retailers, Banks, Insurers and Legal companies, based in the UK, Italy and South Africa. Two of his books for practitioner have been published in translation - in Italian and Chinese. In recent years Prof. Howell has collaborated with UoM's School of Mathematics (where he is an Associated Staff Member) to develop Stochastic Dynamic Optimisation (SDO). This variation of Financial Mathematics is a powerful way to model and optimise systems of physical storage and/or financial storage. The Maths and AMBS research collaboration has shared several research grants from EPSRC and Joule. and is presently jointly supervising two PhD students in the EPSRC's Centre for Doctoral Training in Power Networks (based on the School of Electrical and Electronic Engineering at UoM). Professor Howell has served on the Industrial Advisory Board and the Management Committee of the Power Networks CDT, after helping to write the original bid to EPSRC. His present two PhD students there study respectively the intelligent central management of Demand Side Storage, and the optimal smoothing, storage and trading of Wind energy. An invited paper on the first stages of Maths/AMBS study into wind power will appear shortly in a special issue of the Journal of the Royal Society, the Philosophical Transactions (Series A - Science and Engineering). 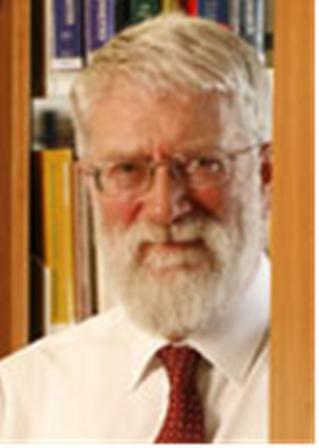 Prof Howell has a further research relationship with the Dalton Institute at Manchester, where he helps to supervise a PhD thesis on the UK's potential legacy of nuclear waste, and how it will evolve through time as a source of radiation (supported technically by the National Nuclear Laboratory). A future research collaboration with Dalton is being discussed in the field of evaluating the technological readiness and the economic logic of proposed innovations in nuclear technology. Academic duties outsiede the University of Manchester include External Examinerships for MPhil and/or PhD at Cambridge, Herriot Watt, Lancaster and Bath. He is also a Visiting External Examiner at the University of Bath's Business School. Recent publications are in the European Journal of Finance (2008 and forthcoming) and the International Journal of Retailing (2007). The Chinese edition of 'Real Options - a guide for Executives' appeared in 2006. The optimal interaction between a hedge fund manager and investor. Intervention and Mitigation in the US Mortgage Market: (Re) Negotiation as a Real Option?